Another quick post this, put up simply as a result of a serendipitous finding on the net. 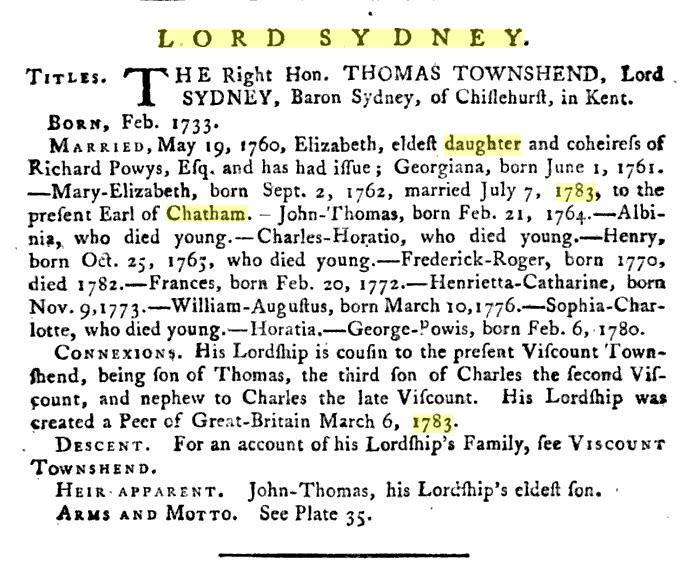 I always knew Thomas Townshend, 1st Lord Sydney’s family was a large one: 6 sons and 6 daughters, according to his History of Parliament page. Until now I’ve not been able to track down more than seven of them. Three years Sydney’s junior, Elizabeth [Powys, Sydney’s wife] bore him six sons and six daughters. But only seven, Georgiana, Mary, John, Frances, Harriet, William and Horatio, are known to have survived infancy in an age when the mortality rate of children under two was especially high. 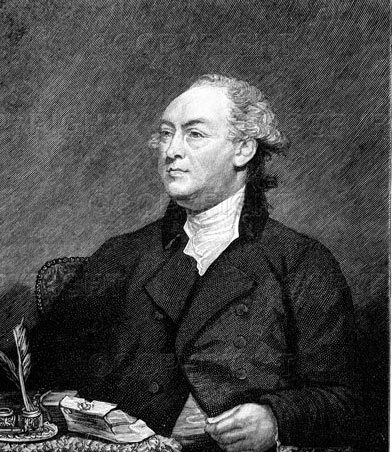 On 9 December 1777, for instance, his brother Charles noted that Sydney’s wife ‘is brought to bed and is very well: the child died three hours after she was born’. I think “Horatia”, at the bottom of the list, probably did not exist, since I’ve not found her mentioned anywhere else. “George Powis”‘s given name was in fact Horatio, so I think that’s probably where the confusion lies. Either way, it looks like Lord Sydney buried an awfully large number of his children– two on the same day, so presumably felled by the same illness– and that most of them were not in fact tiny babies. Albinia was four and a half when she died; Charles Horatio was seven, as was William Augustus; Henry George possibly eight, and Frederick Roger was eleven or twelve. Only Sophia Charlotte died at birth. I have to wonder how all this would have affected the 2nd Lord Chatham’s future wife, Mary. She would have been old enough to remember all the five siblings that died. Perhaps unsurprisingly, Mary was extremely close to all her siblings, particularly her brother, Georgiana, and Frances, who later married Lord Dynevor.